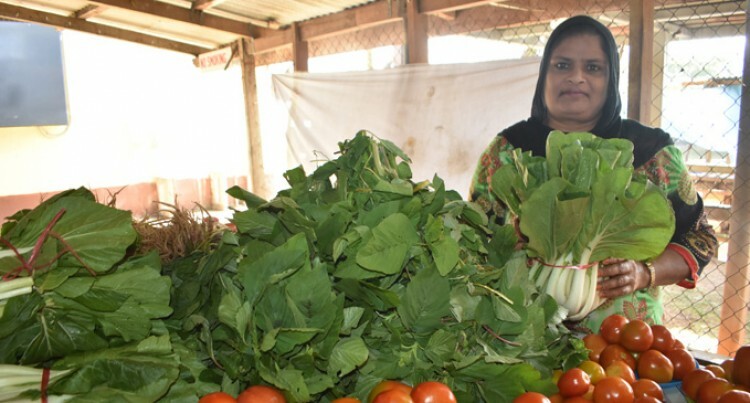 Hamida Bi of Tabucola, Labasa is the newest vendor at Labasa Market. The mother of two boys has been selling vegetables for a month now. The 42-year-old left housegirl job and chose to be a market vendor because she realized this was a better way to earn income. “As a house girl I was getting $75 per week and looking after two children as a breadwinner in this modern world of challenges wasn’t easy for me,” Ms Bi originally from Seaqaqa, Macuata Province said. “I don’t have the records of expenses and revenue as I daily buy vegetables from farmers who arrive at the market early morning. The second youngest of four siblings said right now tomatoes were in high supply and cheaper compared to other vegetables. The Year Eight school dropout suggests that if any women wants to work needs to search for a job this makes being a market vendor is the best option. “Of course standing since morning to afternoon, six days in a week is not easy but earning a honest living from sweat and hardwork will surely give great satisfaction,” she said. “Like any other business where you see happy and good days, selling vegetables at the market is also something like that because everything depends on the supply and demand. “So we should remain strong and willingly to embrace challenges and overcome obstacles.